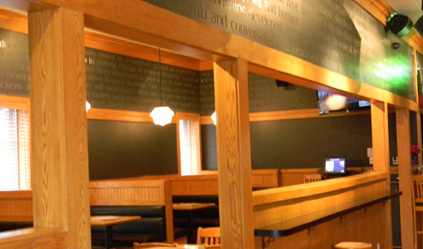 We're knot your boring old restaurant with nothing to see or do. Join us for the next big game and have a dam good time watching it at our sports bar that features 310" of television goodness. We've got some of the biggest TV's around with one 80", one 70", two 60" and a 40". If that's knot enough, gather round our pool table and show off your skills. Kim's a great restaurant and a sports bar all in one! 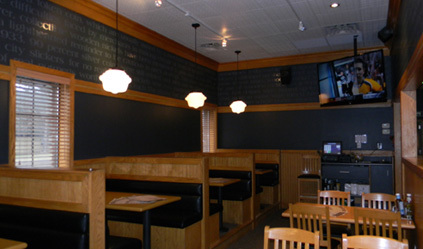 Our menu is full of great items that the kids will love. We've got a grilled cheese that's perfect for the kids, but there's lots of other items like house made chips, french fries, burgers, desserts and more that will put a smile on their face. Add to it all of our TV's and crayons and it's a place the kids will want to revisit over and over again. 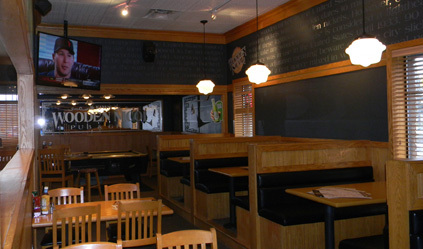 Wooden u love a place in the north end of St. Catharines where you can frequently enjoy great food and a fun atmosphere? Kim’s Wooden Nicol is that kind of a restaurant. Come and have some yummy soup, house made chips, wings, nachos and burgers that are dam good and of course some nice cold beaverages. 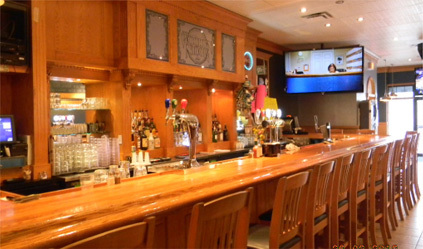 Whether you’re on your way home, out for lunch or dinner or out for the night, the Wooden Nicol is the place to go. If you’re in town for the Henley Regatta or to visit Lakeside Park in Port Dalhousie, we’re just a few minutes away from these attractions. We’re a short drive from the QEW as well so if you’re on your way through Niagara or on your way out of town, stop by and join us! See you soon!